Some things are worth waiting for. 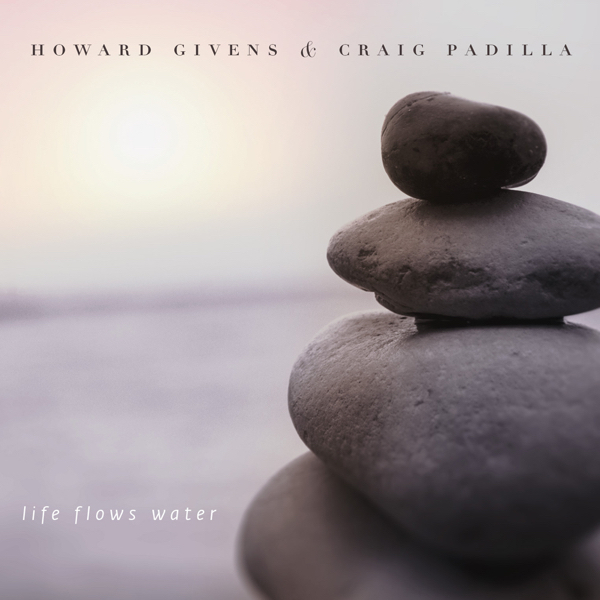 Like When the Earth Is Far Away, the third collaboration between electronic composer Craig Padilla and flute/wind-synth guru Zero Ohms. The duo continue the voyage into the deepest realms of the galaxy that began with Path of Least Resistance and carried through Beyond the Portal. Here we find ourselves searching the edges of the universe, discovering some beautiful new planet and making it habitable. The flow of the music distinctly supports this stated narrative, and it does so while stretching time and utterly immersing the listener in the story. This is soft-edged spacemusic, vast and stunning, built on long pads from both artists–Padilla’s patient electronic arcs and Ohms’ breath-borne, organic tones. Our arrival at the new planet is marked by the surprising arrival of the sound of waves in “Blue Distance”–it’s an interesting and effective wake-up call after almost a half-hour of drifting through the space between stars. 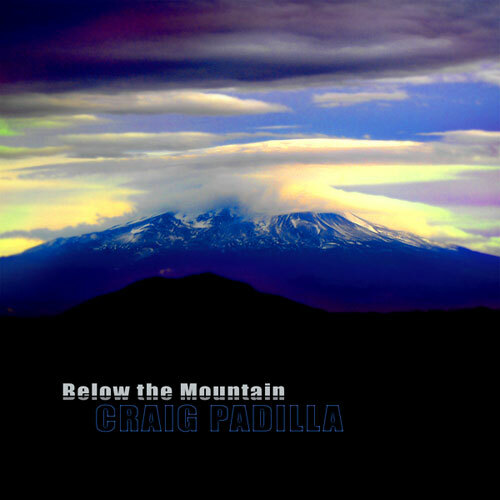 The last roughly 20 minutes of the disc are given over to the very quiet movements of “Terraforming,” where Padilla and Ohms, along with frequent partner Skip Murphy at first give us a slow and considerate surveying of the untouched planet, then begin easing it into richer life, the tones turning upward and becoming more vibrant. Light touches of pinging electronics in the background have the feel of science doing its work without disturbing harmony. Sequencers late in the track impart energy and optimism into the mix, and the story becomes complete. And the final 90 seconds…well, I’ll leave that lovely touch for you to discover when you take this journey. When the Earth Is Far Away is a classic spacemusic disc. It gives us the big electronic vistas we love, but it also excels in telling us a very distinct story. We depart, we travel, we arrive, we reach a conclusion. And we do so with our minds being softly salved, allowed to craft this ride, this space, this tale as our imaginations will. This is not only a perfect capper to a trilogy of great discs, it’s simply a standout disc in the genre. (Applause to Ben Cox for his elegant mastering job.) This is a must-hear for spacemusic lovers, and a standard-setter for spacemusic artists. Kudos also go to Jeff Kowal for his fantastic artwork. The cover art (seen above) is excellent, but you’ve got to see the inside where Kowal melds surf and stars into an amazing vista. The third collaboration by these ambient masters goes into uncharted sonic spatial realms, mapping out new terrain beyond the cosmos. 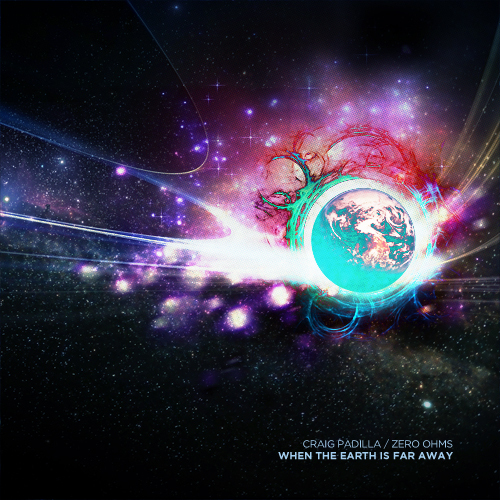 With 6 tracks of opulent, rhythm-less bliss, "When The Earth Is Far Away" is a relaxing and wonderful soundtrack, full of shimmering celestial harmonies and amorphous sound. "Timelessness", at nearly 17 minutes, is a prime example of the gorgeous atmospherics that Padilla and Zero Ohms focus on. The lovely and flute-laden "Blue Distance" is pure ambience, almost receding it's so subtle. Other tracks echo this direction. A beautiful album here, ideal for drifting off to. After two highly acclaimed collaborations ("Path Of Least Resistance" in 2005 and "Beyond The Portal" in 2009, the later featuring also Skip Murphy), veteran US drifters Craig Padilla (based in Coeur d'Alene, Idaho) and Richard Roberts aka Zero Ohms (Byhalia, Mississippi) have teamed again, with some help of Skip Murphy (Redding, California), for another graciously floating space exploration, a journey to encounter magnificent emptiness and silence of intergalactic space. 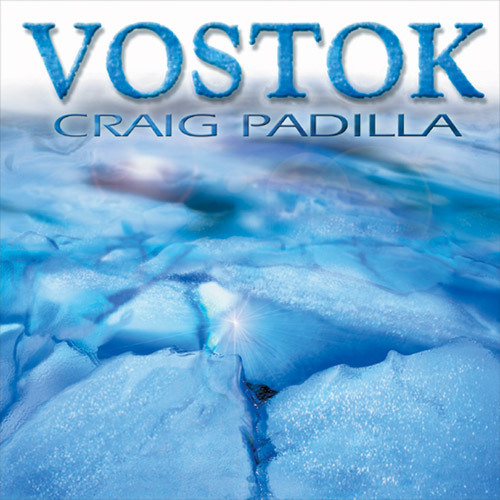 Released on Lotuspike during October 2012, the album immediately strikes with the title composition "When The Earth Is Far Away", which masterfully melts Craig Padilla's utterly sublime synth washes and Zero Ohms' woodwind instruments wizardry. The fusion of warm and dreamy electroscapes with soaring and breathing primordial flutes is magically captivating and stunningly panoramic and absorbing. A truly grandiose overture, Maestros!!! Hauntingly immersing electro-acoustic vibrations overlap to the next composition, "Timelessness". With Skip Murphy, who is credited on this one for co-writing and synths, the duo attracts with quietly drifting and ebbing atmozones occasionally interplaying with slightly colossal drone expansions. During its length of nearly 17 minutes, serene piano parts step in here and there, along with sorrowful flute fragments, blanketed by swirling distant tinkles and futuristic sonic sparkles. "Timelessness" is totally awesome, it's tranquilly grandeur and it powerfully exhilarates the synapses of all outer space aficionados!!! Low space rumbles and freezing winds invade "Strange Storms" and drift into breathtakingly mesmerizing intergalactic space realms, colored by celestial harmonic choirs and catchy dissonances to emphasize its unbounded spaciousness. Sonic bliss continues with "Blue Distance", clocking over 12 minutes. Distant rumbles and ethereal voices carry this composition into meandering and waning, warmly inviting, nearly cinematic domain, with slightly nostalgic feel added by murky clouds of touching and evocative flute work. Tranquilizing sea shore waves unfold "Dream Travel" and smoothly transform into deeper circling drone terrains, coupled with lighter, dream-like washes and assorted breaths, swirls and tinkles, all precisely drawn and layered to sculpt a hauntingly aural soundscape, paying a tribute to the bond between the earth and outer space. The closing "Terraforming" (Skip Murphy again appears as guest on synths), with 18 minutes the longest piece, is wrapped by deeper drones, gracefully unfolding and expanding, leaving the infinite shores and entering the gates of the void. Then it swiftly cascades into more relieving and pulsing, sequencer-infused phase interacting with breathy and ethereal flute images, until the earthy field recordings announce the return back home from this amazing interstellar odyssey. Not to forget, Jeff Kowal (artwork) and Ben Cox (mastering) have done great work too, 4-panel eco wallet packaging looks absolutely flawless, there is even a print on both inside pockets!!! 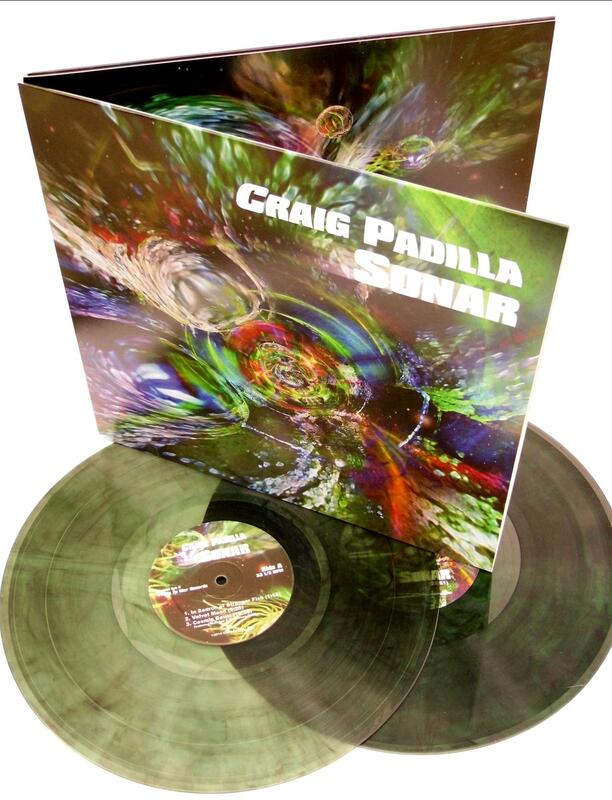 "When The Earth Is Far Away" is a must have sonic pearl skillfully merging evocative and magical ancient wind instruments with compelling synth interplanetary panoramas, richly luminous, gigantically fascinating and tranquilly immersing!!! Bravo!!! 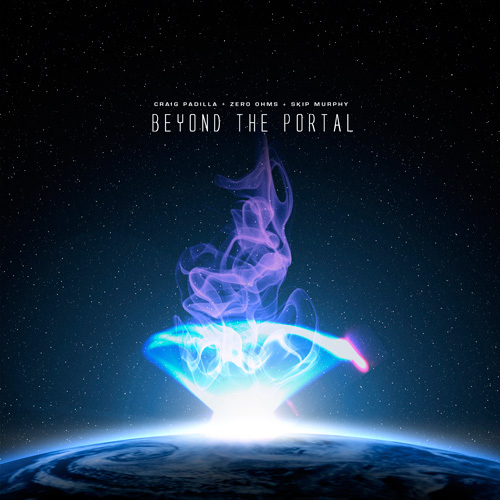 Three years after their previous collaborative recording "Beyond the Portal", Craig Padilla & Zero Ohms (aka Richard Roberts) hereby return, adding a third chapter of gentle cosmic music to their release-sheet. Richard and Craig explain they both did not add parts to a track send by the other during the rather short long-distance process of creation. Instead, each of them started bringing out things and qualities among new tones in the other’s contribution that their creator had been completely unaware of. On the six nicely crafted tracks making up the 63-minute "When the Earth is Far Away", Zero Ohms soothing, organic and ethereal woodwind instruments once more merge with Mr Padilla’s slow evolving synth textures, creating an inspired canvas of overall relaxed, drifting space music to timeless effect and deep immersion. These warm and floating synth washes along skillfully played flute sounds make up grand cinematic farscapes as the slow-morphing tapestries go by, sketching out the vast expanse, splendor and total remoteness of deep space. For me, the pinnacles on the release are the mesmerizing, soft glowing "Blue Distance" (taking the listener far out into the great wide open) along the grand design of space painted by the 18-minute "Terraforming" (that very neatly rounds out the album). All in all, "When the Earth is Far Away", makes a very nice effort and (as Craig states) indeed is true spacemusic for the mind and would suit very well to some awesome planetary visuals. 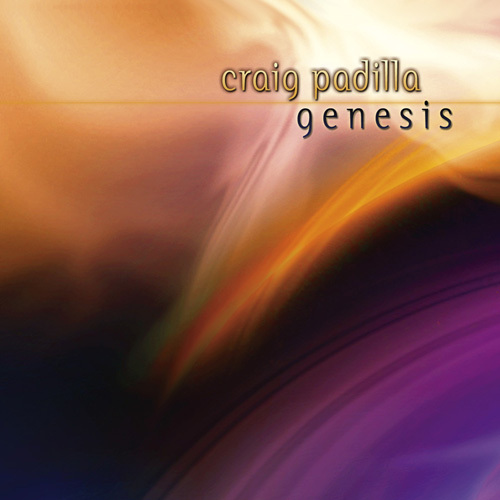 The third collaboration between Craig Padilla and Richard "Zero Ohms" Roberts is built on the extra-musical theme of human colonization of alien worlds. Okay, I agree; this kind of thing has been donkeyed to death by Jules Vern, HG Wells, Ray Bradbury, Marvel Comics, etc. But I have to concur with Padilla's point of view which emphasizes the poetic rather than corporeal interpretation of what are here and now improbable events. The two composers never have physically met, hardly an obstacle in the digital age. Roberts' ethnic flutes and field recordings punctuate Padilla's serene monochord sound glaciers like distant falling feathers. Synthesist Skip Murphy contributes additional meditations on tableau two ("Timelessness") and six ("Terraforming"). The six pieces and melt into one continuous sculpture for your cerebral delectation. Imagine a place where one could commune with ourself in total harmony with the tranquility of vast harmonious spaces. A unique place where as soon as we put the ears, a torrent of serenity is toppling over our worries and calms our fears. A concert for Aeolus and his henchmen, “When the Earth is Far Away” travels on the wings of the contemplativity with celestial eddies which perturb the fluids of our shady feelings. This 2nd collaboration Padilla/Zero Ohms (the 1st one being Path of Least Resistance in 2005) is of a dreamlike sweetness to cut any links with what surrounds us. It's a wonderful ode to tranquillity where the ambiences tetanised by an angelic sweetness are transporting the listener in spaces still virgin. There where the sea kisses the sky and where the space watches over our fate. Breezes coming from distant horizons are blowing on the soft reflections of a water charmed by so much sweetness of trade winds. 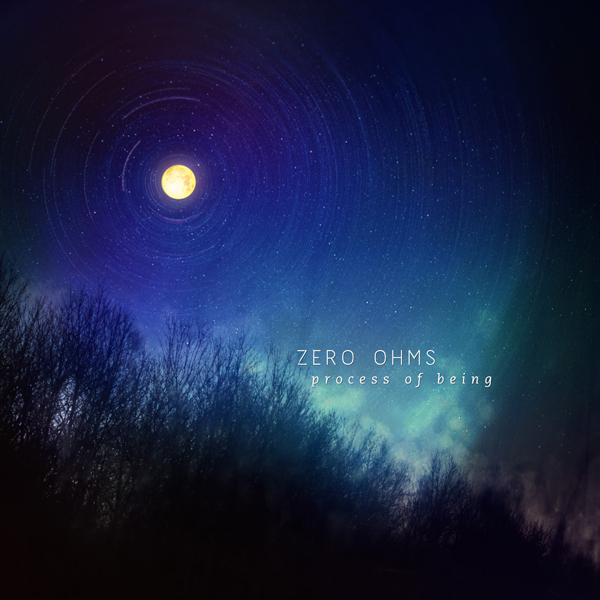 The magic of Zero Ohms (Richard Robert) operates from the opening of the title-track. 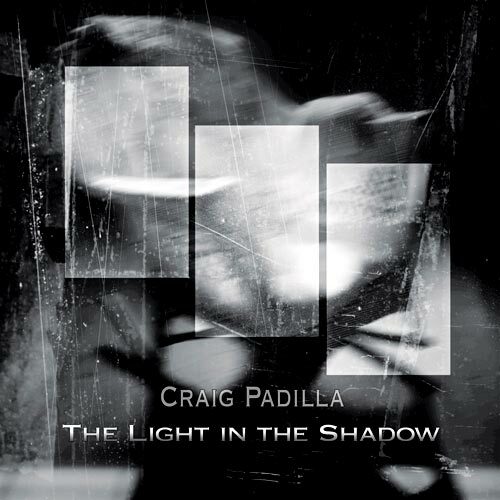 The child of Aeolus distributes the gifts of his spiritual father with a range of winds' instruments which blow from all directions, caressing the delicate and discreet lines of Craig Padilla morphic synth. The ambience is of ether. A soft sleep-inducing and contemplative sensation transports us up to the doors of abandonment with those angelic breezes which embrace the cosmic phases in order to lead us towards the edge of "Timelessness". This long title may be of a surprising passivity that we are seduced by its iridescent breezes which sometimes borrow intonations of voices or breaths of lost souls, barely touching the delicate carillons which ring and sing of their honeyed tones the delights of a universe of peace of mind. An immense sensation of serenity wraps us with these synth lines of which the celestial singings espouse the curves of the so many Zero Ohms' mistral flutes. The union is as much seraphic as cosmic. And in spite of the movements' tranquility we feel the influence of these astral waves which roam in space, waiting for the slightest mislaid movement or breeze to hook on it a mirror of which the reflections are sparkling in a lost universe. And the winds (From Aeolus or Poseidon?) reason the disillusionment, increasing their passive strengths to draw the windy odes of "Strange Storms" which ululates like deaf singing their worships in a desert without drought. And quietly this mesmerizing mistral ballet transports itself up until "Blue Distance" and its voices which cradle the tranquillity of sea waves which roll in a celestial ocean. We are between Michael Stearns' M' Oceans and Chronos with these astral singings floating around some delicate violins and fluty lines. The emotions run on our skin. And the senses in rest, we glide with this marvel of cerebral delicacy. 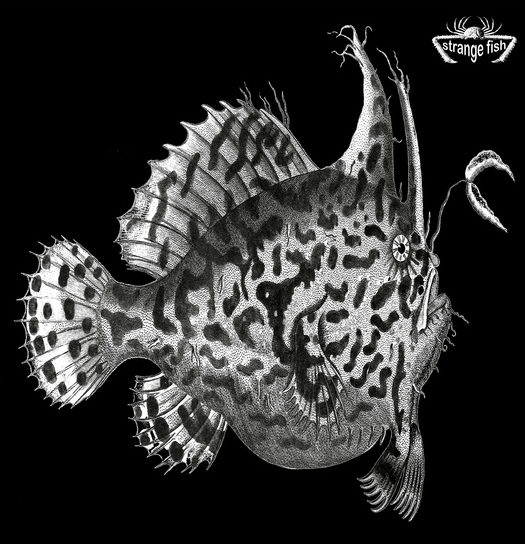 The singings of Zero Ohms' flutes pierce the silence of the zodiacal movements, while that soft reverberations glide on the comfort of a stellar Serengeti. The first turbulences of “When the Earth is Far Away” are showing at the mouth of "Dream Travel". They are some fluty breezes which run on their harmonies, creating a fascinating eddy of airstreams which undulate like clouds pushed by winds. This series of timeless loops merge in a passive rhythm where the tranquility ties us to silence while pops up a concert of flutes with piercing tones, meaning the end of "Dream Travel" which quietly pours its stream of lyrical spasms towards "Terraforming". The blue spaces are melting into a thin earthly horizon where the breezes of oniric flutes and the singings of a passive synth are crossing of Steve Roach's arid territories. The intro, misty and ethereal, borrows the air corridors of "Blue Distance". And it's of a meditative approach to cut us from the rest of the world, especially when our ears are wrapped with a pair of earphones. Still there, the links with Michael Stearns are intimately presents, especially when that a rivulet of sequenced pearls are shaking the reflections of a latent crystalline rhythm at around the 10th minute. These sequences get into a panic under the cover of the tranquillity without trying to escape. It's only 3 minutes later that their muffled frenzied beatings give birth to a spiral rhythm which climbs a short astral stair, driving the listener towards the soft waves and the light lapping of water which seeks for the comfort of Zero Ohms' breezes. Caressed by the influences of a musical world which drinks of oceans and feeds of cosmic sighs, “When the Earth is Far Away” is an album where the astral and earth elements communicate in an enchantress seraphic symbiosis. And like sea terns, we can only contemplate the captivating serenity that gets free of this album where the delicacy of its oniric structures enchants with multiple lines of an incredible sensibility. It's very beautiful and it's also very quiet. And it's especially very musical and lyrical. It's like sleeping on a bed of clouds under the stars. When The Earth Is Far Away is a tranquil, drifting album of expansive, harmonious ambience. The warm synthetic layers and fascinating effects fuse together into broad panoramas that beautifully evoke sensations of the track titles: Timelessness, Strange Storms, Blue Distance, Dream Travel... 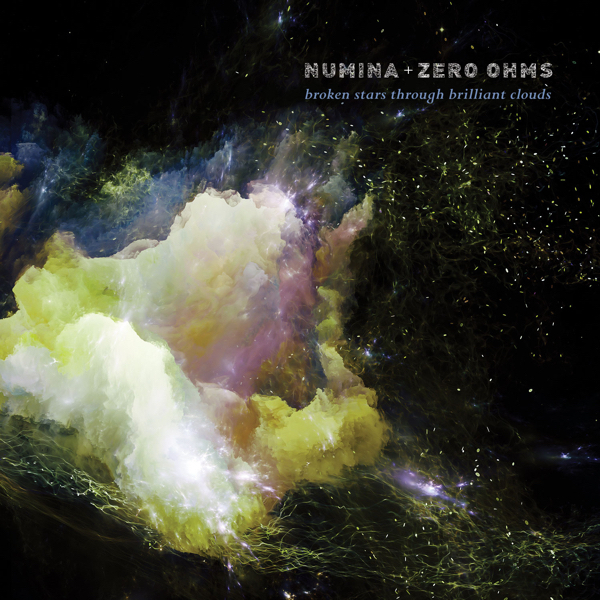 Zero Ohms provides the primitive tones of the Anasazi flute as well as Hawaiian nose flute and tin whistle; set within the framework of meditative electronica these organic elements acquire a timeless, dream-like quality. Sleeve notes refer to other beguiling sonic sources: genetically altered audio manipulations; wind-controlled synthesisers and scientifically mutilated sound processing - I assume that some of these might have been employed in what the artists describe as a unique aspect of this release. This time each musician processed, manipulated and sculpted each others contributions 'bringing out qualities in each other's tracks that that the creator had been completely unaware of.' The resultant music feels as is the metaphorical sound blender was left running a long time - fluid, soft, delicate variations. Attractively packaged in a simple card wallet joyously free of plastic When The Earth Is Far Away parades its deep space theme on every panel. The front cover image sees a graphically enhanced earth planet enshrouded in swirls of bright light; arcing threads of effulgence whip and tangle, some beaming in gentle curves away off into the void beyond the scope of the image itself. The rear cover presents track titles and times along with credits for each piece. A gear list for each artist is also laid out here. The inner two panels present a blue/black space panorama that fades into a breaking wave closest to the viewer. The left section contains an explanation of the project from the standpoint of Zero Ohms; the right section presents Craig Padilla's perspective. 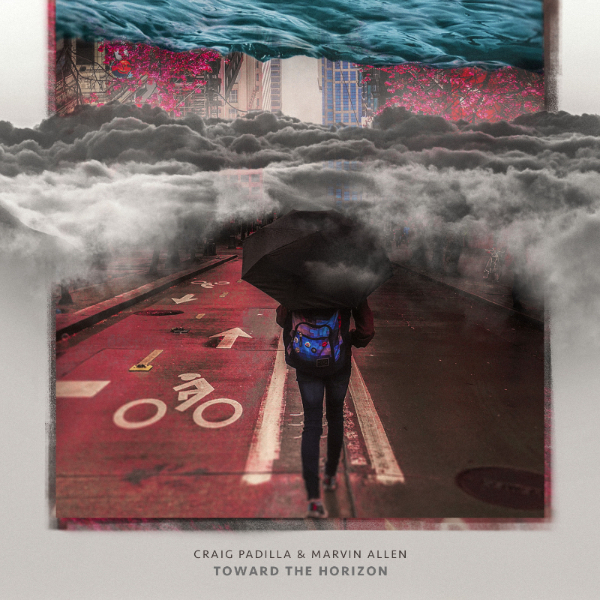 When The Earth Is Far Away sees Zero Ohms (Richard Roberts) and Craig Padilla in collaboration for the third time - previous work together resulted in the 2005 release The Path Of Least Resistance and the 2009 Beyond The Portal album with Skip Murphy also credited. Skip Murphy, although not included in the title once again has a part in both writing and performing the tracks Timelessness and Terraforming. There are six compositions here: the shortest at four minute forty three; the longest at eighteen minutes one second. As the only three time collaborative project for Zero Ohms, he says in the sleeve notes that this had to be 'uniquely special or it wasn't going to be at all'. 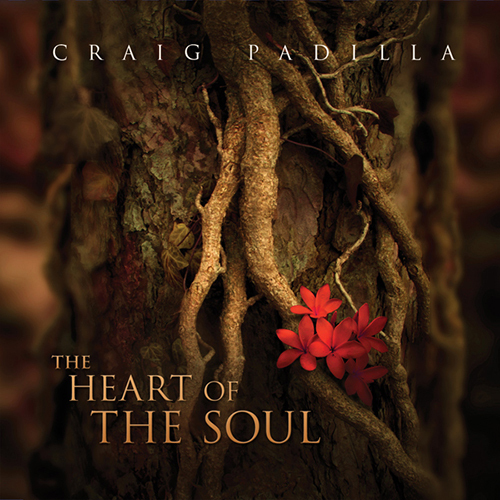 Craig Padilla observes that their work together happens 'quickly and (most importantly) naturally', expressing his feeling that the album 'seems to halt all sense of time when I play it'. A great result for an eight year project where the pair has never yet met in person. Find the album at Spotted Peccary where there are sound samples and information on both this release and associated others.